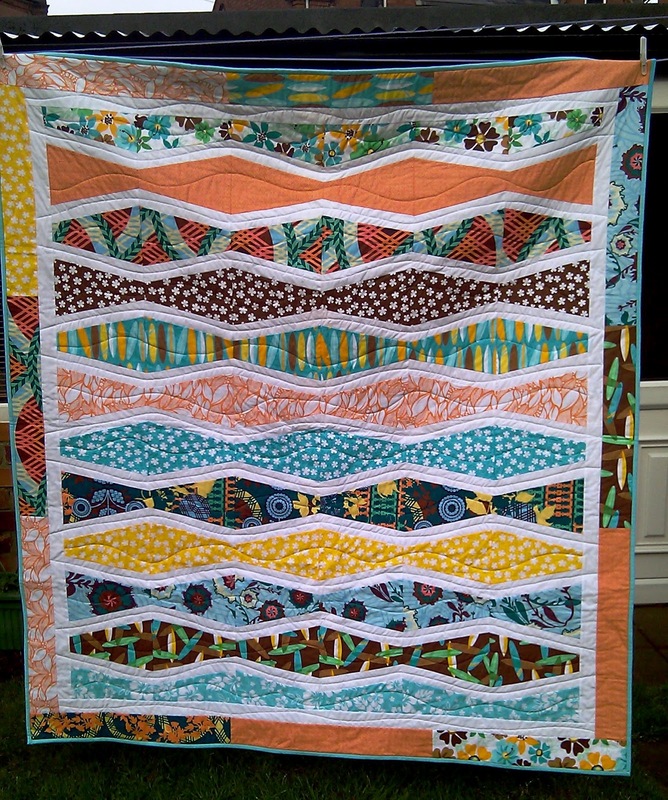 Remember I was making this quilt for my nephew’s 18th birthday? 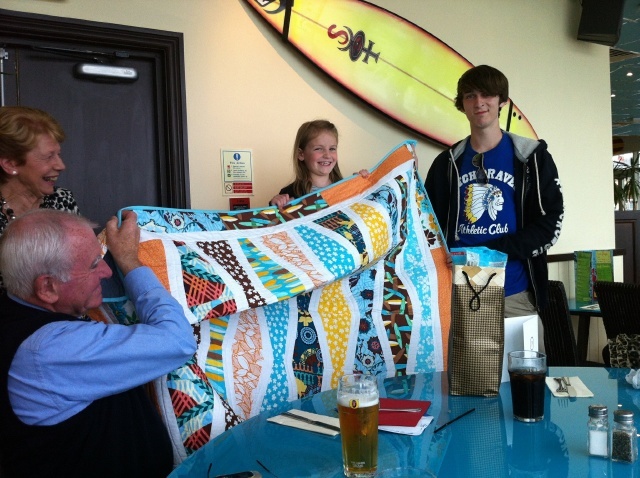 Well last Friday, said nephew received his quilt, especially couried to Bournemouth by my parents and presented in Hot Rocks Surf cafe!! What a perfect setting! I’m told he loves it, but as he’s heading off on holiday soon without the ‘oldies’ for the first time, it might be a while before he needs it! Next Next post: The Feet Are Out!